Christmas is definitely not the best moment to start counting calories. 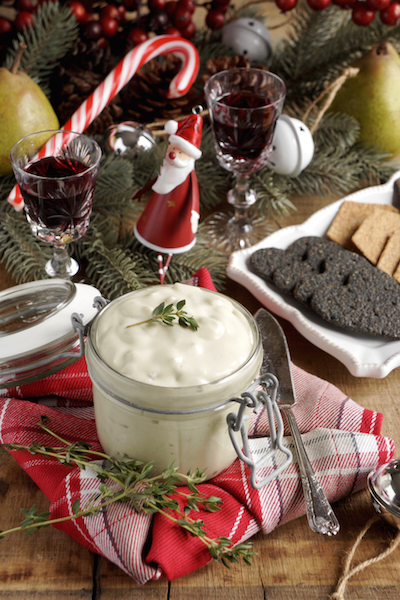 True to this festive spirit, here is a ‘Stilton & Honey-Thyme-Pear Paté’ which, while it has no obvious health benefits, will fill you with a comforting warmth and leave you feeling great. 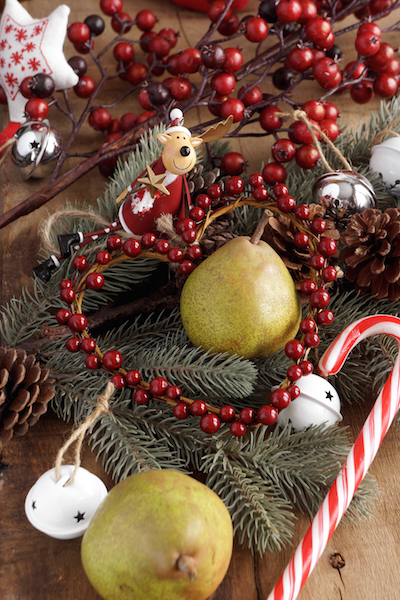 The sweetness of the honeyed pear combines with the spiciness of the stilton to take you to winter heaven. Serve it either as a canapé or as the wonderful conclusion to a meal. It can even be enjoyed as a mid-afternoon snack after a cold countryside walk. Match the ‘Stilton & Honey-Thyme Pear Paté’ with a tawny port, a sherry or a sweet white wine. Put the pear cubes, honey and thyme sprigs into a saucepan. Heat up over low heat for about 10min until soft but not mushy. Leave to cool for 5min. Discard the thyme sprigs. Add the stilton, cream cheese and the honeyed liquid from the pears to your food processor. Blend until smooth. Fold the pear cubes into the creamy stilton. Transfer mixture to a jar, leave to rest in the fridge for 4 hours or overnight. Transfer the cheese mixture to a bowl, set aside in the fridge for 4 hours or overnight. Put the pear cubes in a separate bowl in the fridge. Take the crackers. Spoon the creamy cheese mixture into a piping bag with a star nozzle or similar and pipe onto the crackers. Top with some pear cubes and fresh thyme leaves. Not too fond of stilton? Exchange it with a less spicy blue cheese such as gorgonzola. Fancy and adult version of the ‘Stilton Paté’? Add a few spoons of white port wine to the saucepan with the pear cubes before heating up. For a lighter version, use reduced fat cream cheese – be aware that the taste might suffer. 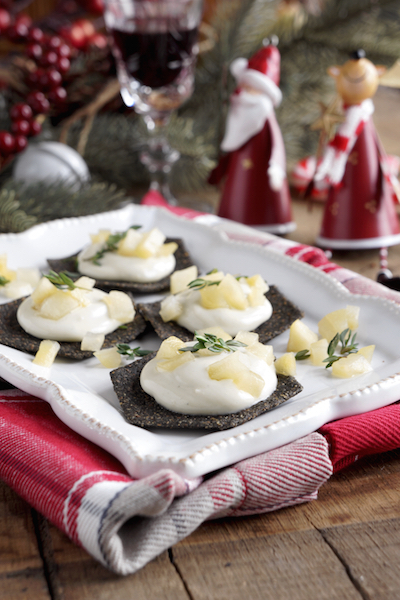 Crackers used: Thomas J. Fudge’s ‘Deep Black Charcoal Hearts’, Miller’s Damsels ‘wheat’ and ‘charcoal’. White plate, tartan napkins, Christmas decoration from Waitrose and Clintons. Cutlery and vintage glasses from Covent Garden Antique Market. This entry was posted in Food, Food Photography, Food Styling, Recipes and tagged dairy, indulgence, photography, treats, vegetarian by Françoise La Prune. Bookmark the permalink.